Will The Arab Revolutions Finally Penetrate the US Echo Chamber? The revolutions that began in Tunisia, continued in Egypt and now threaten Libya’s Muammar Gaddafi, are spreading throughout the Middle East. Perhaps, one day, the revolution may even engulf Palestine. There are signs emanating from the echo chamber that controls US thought on all matters pertaining to Israel, that sounds of the revolutions may soon penetrate into the chamber. What, exactly, is an “echo chamber”? It is a place where the only sounds you hear are the sounds generated inside the chamber. Or to be more precise, the sounds the Friends of Israel have steadfastly allowed to penetrate the Washington echo chamber. Consider all those peace and justice Christian denominations that marched with Martin Luther King, Jr., and embraced the South African divestment campaign against apartheid. By any standard, they should be in the forefront of demanding an end to Israel’s occupation of the Palestinian people. With notable exceptions, they are not anywhere near the forefront. Instead, they live comfortably inside the echo chamber, brainwashed by some of the world’s finest propagandists. As a result, many denominations are still debating divestment resolutions with the resolute determination of White Citizens Councils protecting “our Southern way of life”. Echo chambers take a long time to build. They are also difficult to either break into, or to leave. I mean not just the Obama administration, or the Pentagon, or our military commanders, or the vast intelligence bureaucracy, but all those pundits and think-tankers who swarm the capital, and the media that reports on them all. It’s as if the cast of characters that makes up “Washington” now lives in some kind of echo chamber in which it can only hear itself talking. Recalibrate, as in, stop living in the past when Arabs were described by outside propagandists as dangerous terrorists. Recalibrate, as in recognizing that democracy and freedom are just as attractive to Arabs as they are to anyone else in the world. Recalibrate, as in demanding that Israel pull back its borders to the 1967 Green Line, and cease forever its historically unsustainable claim on the land that has not been called Judea and Samaria since the Temple was destroyed by the Romans in 70 CE during the Siege of Jerusalem. And that, my friends, was a long time ago, which even Christian pastors must know. Thanks to the revolution of the young, there are signs of small cracks in the US echo chamber. The bond between Israel and the US has always been tight. It reached a high moment at Camp David in 1979 when President Jimmy Carter orchestrated a peace treaty between Israeli Prime Minister Menachem Begin and Egyptian President Anwar Sadat. That bond was betrayed within a few days after President Carter discovered that Prime Minister Begin never intended to keep that part of the Camp David agreements in which he had agreed to halt settlement construction in the Palestinian Occupied Territories. Begin’s successors have faithfully adhered to that betrayal even as they strengthened the Washington echo chamber while protesting they were in search of a “partner for peace”. Politico’s Ben Smith sees signs of change. For two years, the Obama White House has tried to give Israeli Prime Minister Benjamin Netanyahu the benefit of the doubt as a prospective peace partner — viewing him as a leader who shared U.S. goals but faced tough domestic political constraints that Washington felt obliged to help counter. That’s over. In recent weeks . . . . a new, more hard-headed view of Netanyahu has become cemented in the West Wing — one that rates the chances of a personal alliance growing between the Israeli leader and President Barack Obama to be just about zero. Smith points to the departure from the White house of Rahm Emanuel (now Chicago’s mayor-elect) and David Alexrod (back in Chicago to provide strategy for Obama’s re-election). He suggests that this duo was involved heavily in Middle East affairs. Smith correctly identifies the shift in tribal loyalty from Emanuel and Alexrod to that of the more practical orientation of new staffers Bill Daley and David Plouffe, neither of whom have any known solidarity with Israel. However, he may be expecting too much from that personnel tonal shift. The White House is still well staffed with friends of Israel. It is hard to imagine that Rahm Emanuel would have allowed anyone with Arabist tendencies to slip into the House that Rahm managed for two years. The presence of so many high profile American journalists in Cairo during the overthrow of President Mubarak, is a more pragmatic signal that the US media is willing, under limited circumstances, to shine a light on the story of the revolution which the rest of the world is following so closely. The same mainstream Western media that habitually conveys a picture of a region peopled almost exclusively by enraged, bearded terrorist fanatics who “hate our freedom” has begun to show images of ordinary people peacefully making eminently reasonable demands for freedom, dignity, social justice, accountability, the rule of law, and democracy. Arab youth at the end of the day have been shown to have hopes and ideals not that different from those of the young people who helped bring about democratic transitions in Eastern Europe, Latin America, and South, Southeast, and East Asia. These young voices have been a revelation only to those deluded by this media’s obsessive focus on Islamic fundamentalism and terrorism whenever it turns its attention to the Middle East. This is thus a supremely important moment not only in the Arab world, but also for how Arabs are perceived by others. A people that has been systematically and habitually maligned — probably more than any other in recent decades — are for the first time being shown in a new, and largely positive, light. A comment in London’s The Economist finds hope in the revolution. The lesson from the Arab awakening is an uplifting one. Hard-headed students of realpolitik like to think that only they see the world as it truly is, and that those who pursue human rights and democracy have their heads in the clouds. In their world, the Middle East was not ready for democracy, Arabs not interested in human rights, and the strongmen the only bulwark between the region and Islamic revolution. Yet after the wave of secular uprisings, it is the cynics who seem out of touch, and the idealists have turned out to be the realists. Israel’s biggest “fear selling point” is promoted by its campaign to spread the falsehood that Islamic forces will take over the revolutions. For a sample of the campaign, spend a little time watching Fox News. For a look at how Israelis are being sold on fear, Neve Gordon, in the Palestine Chronicle, offers insights into this fear-mongering. The proper response to that campaign is to shout for all to hear,”let them come to Alexandria, Egypt”. And then let them read what Al Arabiya reported after the explosion in Alexandria. 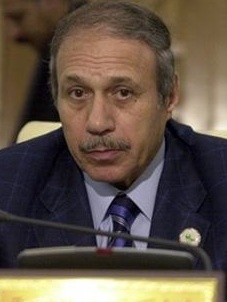 Egypt’s general prosecutor in the post-Mubarak goverment, has opened a probe into former Egyptian Interior Minister Habib el-Adly’s reported role in the New Year’s Eve bombing of the al-Qiddissin Church in Alexandria. The blast killed 24 people. If this deadly attack was, in fact, the work of the government of former President Mubarak, then he was doing what dictators do, attack his own citizens and blame it on a handy enemy, in this case, the Muslim Brotherhood. The video below demonstrates how some citizens of Alexandria responded to the attack on a Christian church. It shows their excitement when the Egyptian flag is seen connecting a mosque across the street from the al-Qiddissin Coptic Christian Church, where 24 died on New Year’s eve. About 1,000 worshippers were attending the Mass at the al-Qiddissin (Saints) Church in the Sidi Bechr district of the Mediterranean port city. As the service drew to a close after midnight, a bomb went off in the street outside. That was almost two months ago. Now at the site of the explosion, there are joyful noises in the street, noises that are loud so you might consider lowering the volume before you view the one minute, plus, video. At the end watch for the joy of the Coptic priest as he mingles with the young crowd. Or if you really don’t really want to hear the noise, then hit the mute button. In that way, you will be joining the current US and Israeli governments which continue to operate inside their own “echo chambers”, where the sounds of revolution are muted by the continued reliance on military power. Will this current excitement in Alexandria, Cairo and elsewhere, ultimately penetrate the echo chambers in Washington, Tel Aviv and London? Alastair Crooke, a veteran British diplomat and author, wisely reminds us that echo chambers are extremely difficult to penetrate. Sever Plocker, the deputy editor of Yediot Ahronot, wrote in January that Avigdor Lieberman’s recent plan for a Palestinian state without borders in half of Judea and Samaria was, on the basis of his earlier discussions with Binyamin Netanyahu, more or less the prime minister’s plan too. Netanyahu argued that the current situation on the ground in Judea and Samaria is stable and safe, and constitutes, for all intents and purposes, a solution to the conflict. The Palestinians already have three-quarters of a state … they have a flag, an international telephone prefix … All that will remain for the government to do, hinted Netanyahu, is only to agree to a change in name of the entity from ‘authority’ to ‘state’ and to toss it a few more bones, a few token signs of sovereignty, such as the right to mint its own currency – and peace will reign for 70 years to come. The demise of the ‘peace process’ has given us a rare moment of clarity: since the release of the Palestine Papers, the fiction underlying it has become clear to everybody. Such clarity enables new possibilities to emerge. . . . Might the coming change in Egypt be an equivalent catalyst for Israelis and Palestinians? The picture at the top was taken in Gaza as Palestinians celebrated the revolution in Egypt. The picture is from Al Jazeera. It appeared in the Palestine Chronicle. Also, please note: thanks to several reader complaints, this blog is now Ad Free. Word Press has to make a profit. It made better sense to buy my way to the Ad Free category than to risk the appearance of unwanted ads on the site. 9 Responses to Will The Arab Revolutions Finally Penetrate the US Echo Chamber? Abraham Foxman was a founder of CMEP (Churches for Middle East Peace), a Christian organization that talks the talk (stop settlements, we want peace, peace, peace, etc.) but insists that the U.S. borrow $3 billion annually (or $6.8 million a day) to give foreign assistance to the rich country of Israel. Of course its many Christian members have no clue about either its founding or its stand on foreign assistance to Israel, and they keep donating generously. As a desirable solution. (1) The 1967 borders give Zionist Israel roughly 60% of the land, including important resources and farm land. That is more that half a loaf and would justify the Zionist repression of others over the decades. (2) A fragmented Palestinian state would be impossible to run. Israel would still control land access to the coast, would control air space, and could choke off Palestine at will. Continually referring to the two-state solution sends the message that a fully equal country (one state) is impossible. One thing the Arab citizen revolutions should teach us is that the ideal is very possible after all. Don’t exclude equality by subliminally offering only the two-state solution. While your support of the human rights of all, including Palestinians, is excellent, I urge you to not offer the two-state solution (to 1967 borders) as a desirable solution. (1) The 1967 borders give Zionist Israel roughly 60% of the land, including important resources and farm land. That is more that half a loaf and would justify the Zionist repression of others over the decades. (2) A fragmented Palestinian state would be impossible to run. Israel would still control land access to the coast, would control air space, and could choke off Palestine at will. Thanks, Jim, for connecting the dots. Echo chambers are great for narcissists who love to hear their own voices. But, I also remember that “the mills of God grind slowly, but they grind exceedingly small.” Recently, Zakaria said, “this is the first time in one thousand years that the Arabs are taking control of their affairs.” All peace-loving and human rights-loving people should celebrate. Miracles do happen! There is nothing for me to say, I can only hope you are right. I know the whole issue has always been weighted and one-sided, and thereby inhumane and unjust. I just hope you are right and that this echo chamber will be cracked by reality, and that the reasonable, real and just measures will be enacted to succeed. That the Palestinians have been able to hang on so long despite the U.S. siding with money,power, the corruption of the U.S. congress, is unbelievable. Of all people the Palestinians are the bravest, the most tenacious I have ever known of I admire them tremendously, and am ashamed at the weakness of our foreign policy which seems to operate without ethics, without principles. Great stuff, James. I sent it to Obama and Congrsswoman Lois Caps (CA 23). 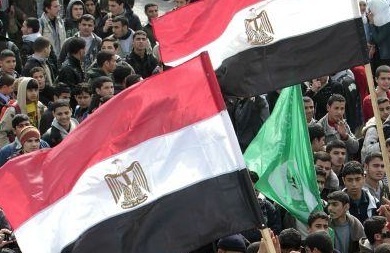 It has been refreshing to observe the current Arab revolts for freedom and democracy while residing overseas. We have been in Sri Lanka for the last month, visiting our daughter and her family. Here we were able to receive Al Jazeera television’s English language programming. The echo chambers that Jim Wall describe have all but blocked this excellent coverage from our cable networks at home. (Some satellite TV suppliers make it available. ) And ironically, Al Jazeera has an excellent Washington bureau and very thoughtful U.S. commentators. It has also been refreshing to see the “promise” of these revolutions through the eyes of our son-in-law, Omar Razzaz, whose father was deeply involved a generation and more ago with a pan-Arab movement reaching for democratic freedoms. Munif Razzaz was the principal theoretitician for the Ba’ath party in its pre-Saddam days. Omar helped us see that the yearning of the masses across the Arab world for liberty from oppressive regimes had roots in the original American revolution but that the modern U.S. governments had formed strategic alliances with the Mubarak’s of the Arab world in a kind of neo-colonial style dictated by pro-oil, pro-Israel forces and by a desire to fill the vacuum left after World War II by the decline of British influence in the area. We are grateful, as always, to Jim Wall for the insight that so much of U.S. political understanding and policy is dictated by people who have a variety of motives for preserving and using the echo chambers they have devised, and that the American media has largely–and tragiclly–gone along with this. As it happens, my casual reading these days has been a couple of biographies of American “founding fathers and mothers.” I deeply hope that the poularity of such books on the American scene will help renew our commitment to the principles on which the U.S. was based. Jim’s metaphor of the “echo chamber” comes to mind, however, as I read about how in U.S. history the slavery issue and the oppression of Native Americans furnished their own brain-washing structures.